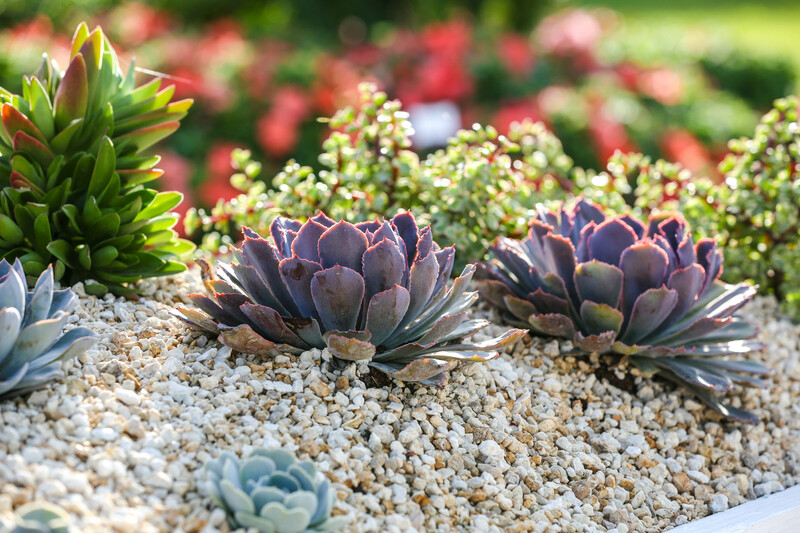 Enjoy a yard – or container gardens – that are amazingly easy to care for and colorful by growing trendy cacti and succulents. There's a wide variety available, so it's easy to get the right look. Not sure how to get started? Dig into our tips! Light: Most cacti and succulents do best in full sun (at least six to eight hours of direct light per day). If you have a spot that gets only part sun (especially if it's shaded in the afternoon hours), pay close attention to varieties that handle less light. 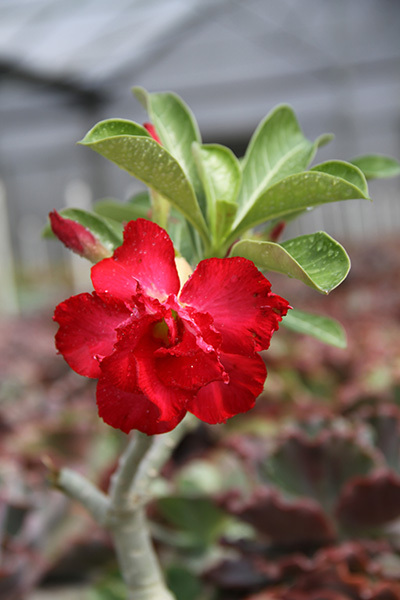 Water: If you plant in a spot where the plants get natural rainfall, you may not need to water them at all unless your area experiences a drought. In containers, let the top several inches of the potting mix dry. If you plant cacti and succulents in the ground, be sure the area has good drainage. Or grow these beauties in raised beds to prevent them from rotting in rainy weather patterns. Fertilizer: Sprinkle a little time-release fertilizer in when you plant them. They'll be happy campers through the growing season. Create Colorful Contrasts: One of the simplest tricks in a garden designer's toolbox is the power of contrast. Pairing plants with purple and yellow tones, for example, creates a visual pop that's tough to beat. Bring bigger impact – and less work – to your yard with the elegance and easy-care nature of cacti and succulents (such as the Desert Escape® collection).